Are There Rules to Doing Cardio? Cardio is very important for us to do in order to stay in good shape and maintain a healthy body. Cardio is considered to be an aerobic exercise, meaning that you are consuming as much air as possible to perform such activities. There are different types of cardiovascular exercises which can be done such as walking, stationary bike, elliptical rider, or more challenging advanced activities like jogging, running, using a jump rope, boxing, or even punching a punching bag. Start out by using walking, a stationary bike or an elliptical machine as your activities of choice. For treadmills, walk anywhere between a 2.5-4 mph pace depending on your condition. The way to determine how fast to go is by measuring your Target Heart Rate. Target Heart Rate is the amount of beats per minute that the heart has to go at in order to foster body fat loss. If your beats per minute fall +/- 5 beats from the number provided by the formula above, then you are exerting the right amount of effort. As you get more advanced, you can push yourself a little harder if you wish to. Anytime you are doing an aerobic exercise you want to stay in the range of 20 to 45 minutes in order to avoid losing muscle. By going under 20 minutes you are not allowing your body to burn off the glucose and glycogen (stored carbs) in the body that needs to be burned before the body shifts into a fat burning mode. For the first 20 minutes your body is getting its energy supply from the glycogen. After 20 minutes the body begins burning away at fat in the body as all of the energy your body is getting is no longer coming from glycogen, but rather coming from fat. If you were to go over 45 minutes, the body will go into a catabolic stage and begin to burn lean muscle tissue. This can cause your lean physique to deteriorate as you then begin to turn catabolic. 1) In the mornings on an empty stomach: Morning cardio can help promote better fat loss. The reason is simple. After an overnight fast, your glycogen levels are low, and thus, body fat is more easily accessed to be burned for fuel. 2) Right after the workout: If you cannot do your cardio in the morning and must be forced to do it later on, do it right after a weight training workout. By doing this all of your glycogen has been used in weight training and it will make your fat burning process much more efficient, and thus, easier. The reason for this is because performing cardio after a weight training session causes you to burn fat at a faster rate. This is because most of your glycogen stores in the muscle and the liver have already been depleted. Thus, you can get away with doing less cardio since your body will enter into a fat burning stage once the glycogen has been depleted. 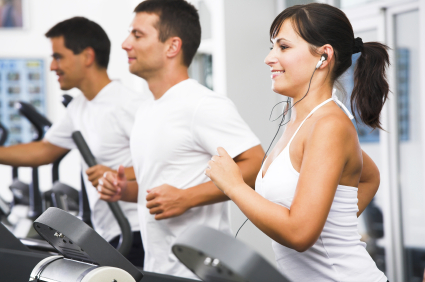 For the purposes of this program, all cardio sessions are performed right after the workout.